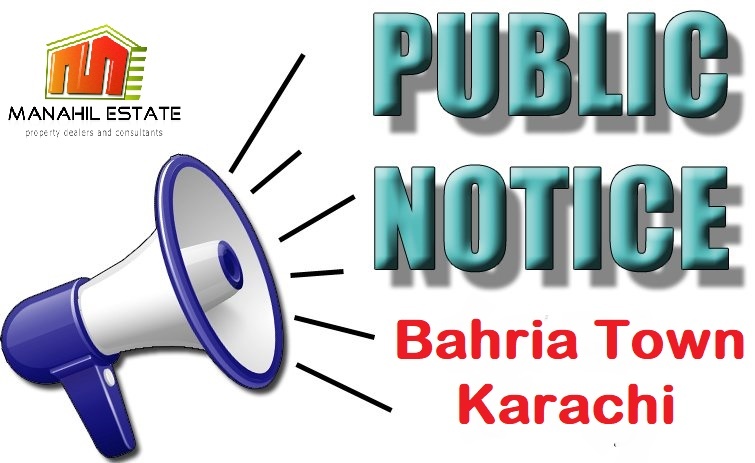 Earlier bahria town had announced surcharge waiver policy which offered 100% waiver on the surcharge if members pay off their all dues till 31st October 2016. 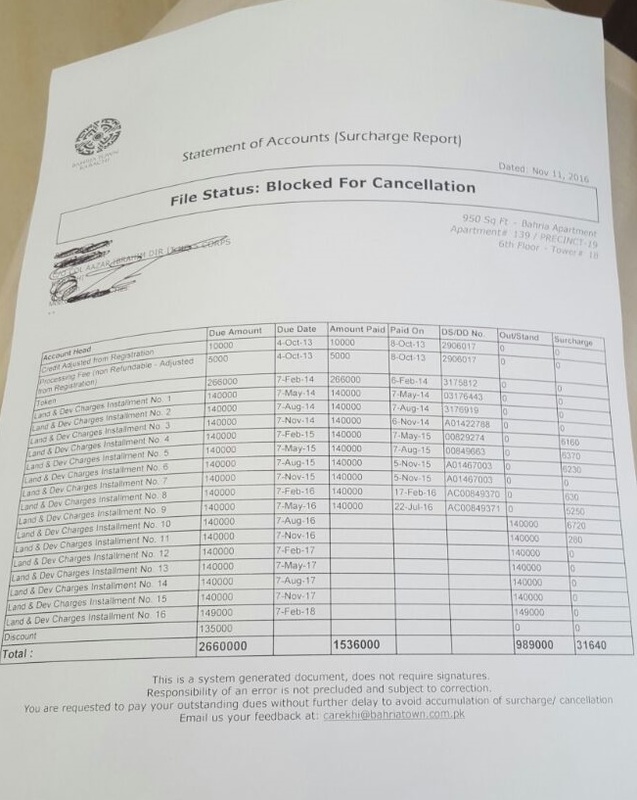 Later it extended date up to 10th November to clear off the due installments and get 100% waiver on the surcharge, failing which it warned to cancel all those files which have more than 1 outstanding installment. 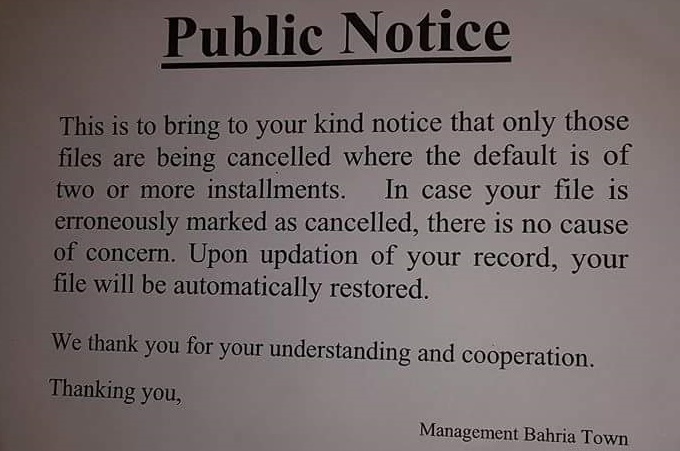 Those who took this warning seriously, rushed to bahria headoffices in Karachi, Lahore and Rawalpindi in order to clear off their outstanding dues, however many didn't take this warning seriously as nobody expected that bahria would take such brutal action immediately without extending the date. This is an important development which has shaken confidence of thousands of investors on bahria town as nobody expected this brutal action. There are thousands of files still waiting to be balloted, however bahria town has failed to deliver despite making multiple announcements. 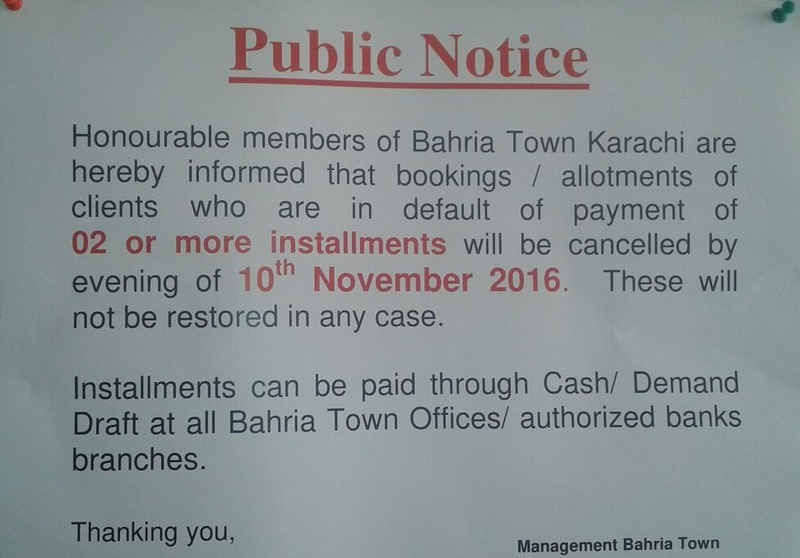 Heavy surcharges are also imposed by bahria town on those who delay their installments, even then it had to take this brutal action.